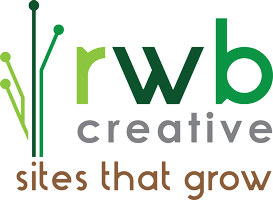 RWB Creative, LLC is a small website development and IT consulting firm. Since 2008, we have been working on website projects. We can help you through the entire process of getting your own website: design, development, deployment and ongoing maintenance. If you don’t know how you want it to look, we can guide you thru the process of deciding on your layout: colors, graphics, page layout, functions, etc. If you don’t already have a logo, we can help. When we need help with developing branding or creating a complex graphic, we partner with Ignite Graphx. Think you can’t afford a website? We can help you get a simple website that will help you promote your business or organization, at a price that fits your budget! Please view our galleries to see many of the sites we have worked on. Information is also included on two of our larger projects, under ‘Projects’.